WIN! Marvel Studios’ Avengers: Infinity War Movie Premiums Worth $270! 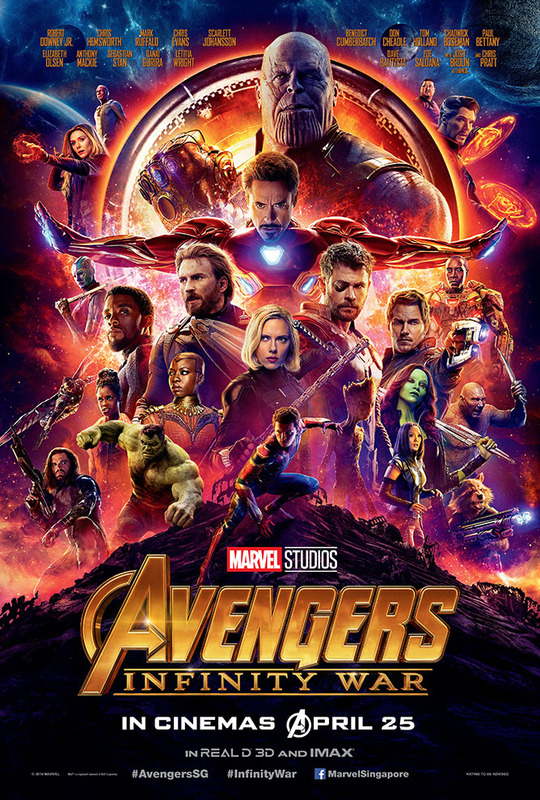 There’s barely two weeks left till the hotly-anticipated blockbuster hits our big screens, but Marvel fans won’t have to wait till 25 April to get their superhero fix – here’s your chance to score yourselves an exclusive set of Avengers: Infinity War movie premiums! To participate, simply fill in your particulars below and submit. Closing date for this contest is 30 April 2018. This contest is open to all Teenage online members residing in Singapore only. All details and particulars submitted must be accurate and complete. Any incorrect or incomplete information found in the entry will result in the disqualification. Image is for illustration purposes only. Prizes offered are not transferable, exchangeable for cash or any other products and may be substituted with any gift or prize of similar value. Media Group reserves the right to suspend or cancel the giveaway at any time. WIN! Tickets To Star Wars Run Up For Grabs! 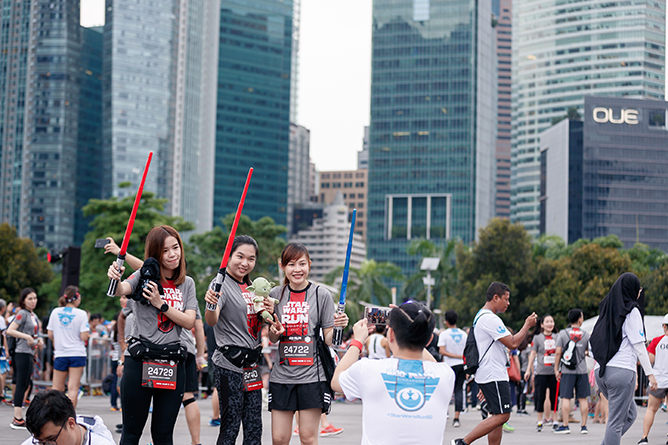 Get your lightsabers ready for some serious intergalactic fun at the Star Wars Run Singapore! Taking place at the F1 Pit Building and Marina Bay area on 5 May 2018, the second edition of the popular themed run is set to bring the Star Wars universe to life with epic soundtracks, stunning light projections and lots of fun photo opportunities. After crossing the finish line, be sure to pop by the Race Village to enjoy delicious grub, interactive activities as well as an outdoor movie screening. Now, will you join the Rebellion on the Light side, or are you #TeamDarthVader on the Dark side? 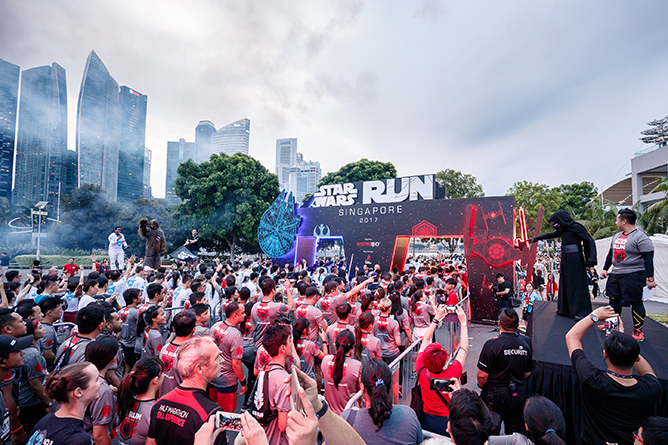 Find out more about the Star Wars Run here and don’t forget to use the official hashtag #StarWarsRunSG! We are giving away 1 pair of tickets to the Star Wars Run! The winner will be allowed to choose their preferred category of 10km Competitive, 5.4km Non-Competitive or 540m Young Jedi Dash. The run slot will entitle you to a race pack each, which contains limited edition merchandise designed exclusively for this year’s edition. You also receive exclusive excess to the online store where you can get your hands on more Star Wars goodies on sale! Closing date for this contest is 8 April 2018. This contest is open to all Teenage online members residing in Singapore only. WIN! A Pair Of Tickets To Catch Harry Styles Live On Tour In Singapore! Guess who will be back for a sophomore concert? 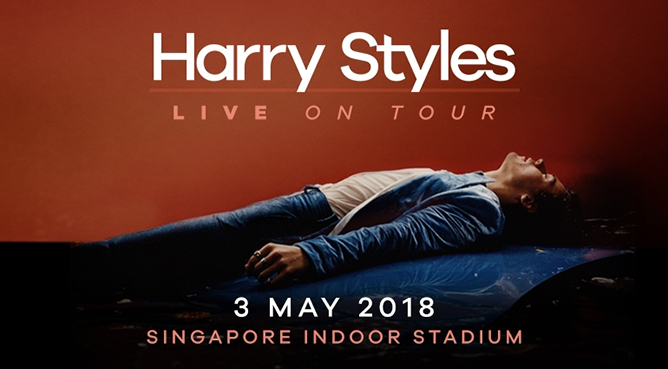 After a wildly successful show at The Star Theatre back in November, Harry Styles will be returning to our shores to stage an even grander performance at the Singapore Indoor Stadium on 3 May 2018 – and we just can’t wait to see what he has up his Gucci sleeves this time round! And we have good news: we’re giving away 5 pairs of Cat 3 tickets worth $178 each, thanks to Lushington Entertainments! But it ain’t that easy – it’s no secret that Hazza’s a sweetheart, so we did a compilation of his most heart-fluttering fan service moments to date. To qualify for the giveaway, all you have to do is to watch this video and answer a simple question to participate. May the best Harry fan(s) win! Closing date for this contest is 4 April 2018. This contest is open to all Teenage online members residing in Singapore only. Prizes offered are not transferable, exchangeable for cash or any other products and may be substituted with any gift or prize of similar value. The ILLUMI FEST RUN is back with a splash! Lace up your kicks for a glowing fun time at this one-of-a-kind neon playground. 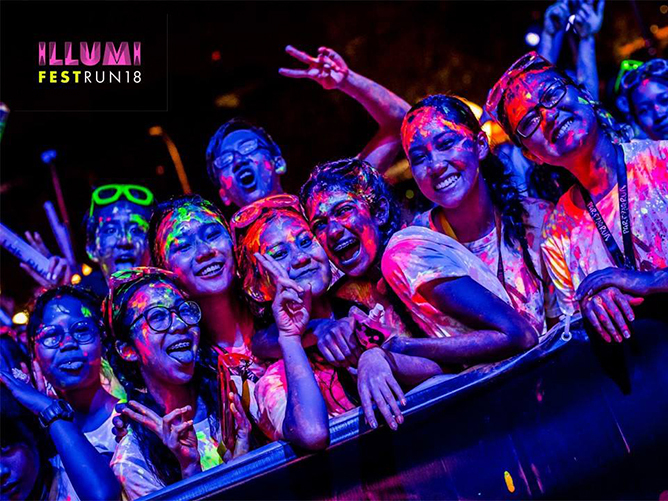 The paint party extravaganza will see runners illuminating the night in a plethora of flashing colours, all while dancing away to the beat of adrenaline-pumping music. The party doesn’t end at the finish line – soak in the after-party vibes at the race village, where you can have a go at glow bowling, skid through a giant slide, engage your pals in an all-out paint war and more! 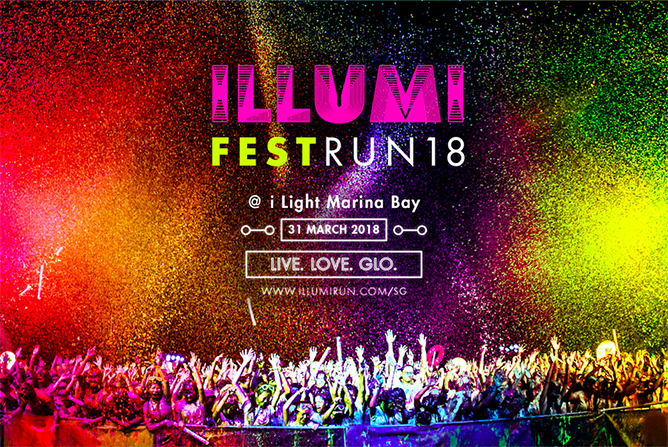 We are giving away 6 pairs of Party of 2 tickets to ILLUMI FEST RUN 2018 worth $100 each! To participate, simply fill in your particulars below and submit. Closing date for this contest is 12 March 2018. This contest is open to all Teenage online members residing in Singapore only. Valentine’s Day is just right around the corner, and what better way to express your love than turning those precious moments into keepsakes for a lifetime? 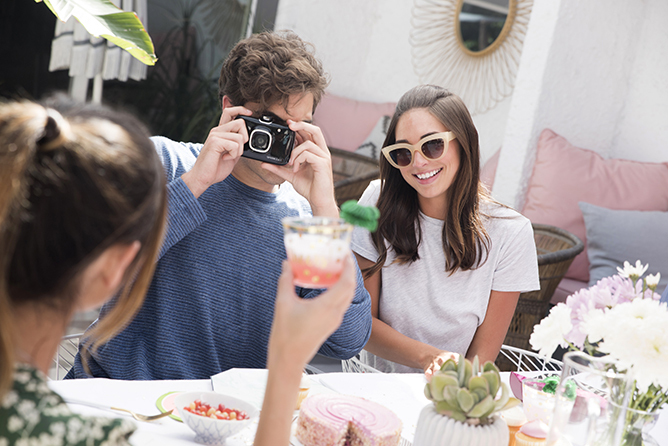 For the lovebirds who prefer a more personal touch, the HP Sprocket 2-in-1 allows you to easily capture memories and churn them out into fun-sized prints in a snap – think of it as a pocket printer meets instant camera! What’s more, it comes equipped with augmented reality technology embedded into every print. Simply scan a picture via the Sprocket app and watch your snapshots come to life. And with quirky features such as a photobooth mode for lovey-dovey selfies and a plethora of instant stickers to choose from, we couldn’t think of an even better V-day gift than this. 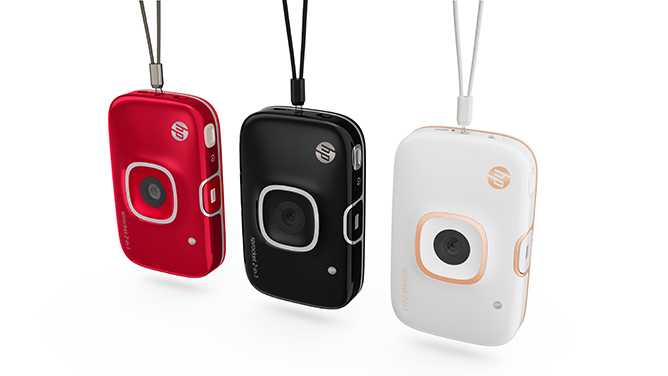 We are giving away 3 sets of HP Sprocket 2-in-1 worth $239 each! To participate, simply fill in your particulars below and submit. Closing date for this contest is 15 February 2018. This contest is open to all Teenage online members residing in Singapore only.